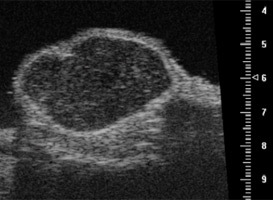 VisualSonics-VeVo2100 - High resolution micro-ultrasound system (spatial resolution < 30 µm) for mouse and rat. US contrast agents both already used in clinical setting and experimental for preclinical imaging are available. The activities include the set up of the service/instrumentation/animal models for US. 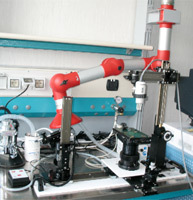 Activities on High resolution micro-ultrasound system equipment allowing from anatomical to functional imaging experiments from zebrafish to mice and rats. Vascular Imaging (Common Carotid Artery, Internal and External, Carotid Artery, Aorta, Inferior Vena Cava, Iliac Arteries, Femoral Arteries) mice and rats. 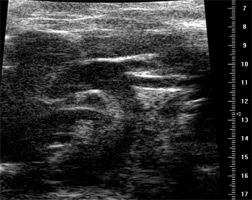 Abdominal Imaging (Inferior Vena Cava and Abdominal Aorta, Liver and Hepatic Vessels, Kidneys, Pancreas) in mice and rats. Cancer Research Imaging (Visualization and 3D imaging reconstruction with Measurements of Tumor size) in mice and rats. Oncology -> Imaging on Transgenic and Xenografts models (tumor growth ,angiogenesis, drug efficacy evaluation). Cardiovascular pathology -> Imaging on Transgenic and induced pathological models (angiography, perfusion).